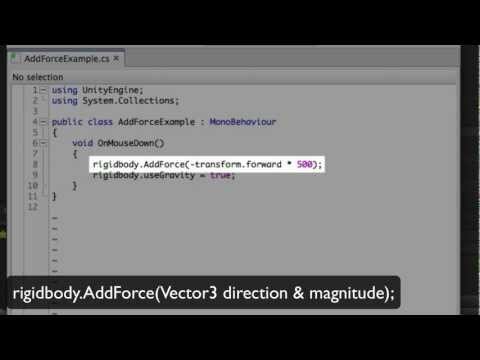 How to use the AddForce function to move a physics (rigidbody) object. we're enabling gravity on the object. this force is only applied once. update to apply a constant force. that are effected by mass. that aren't effected by mass. then the force applied will be less effective. then the force will be more effective.